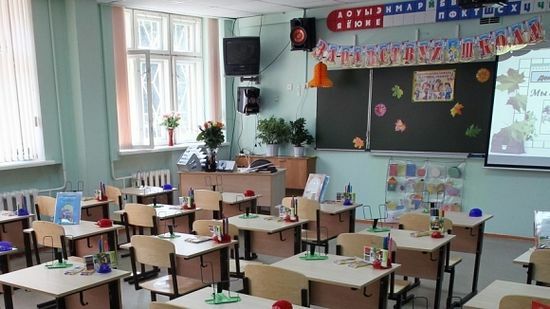 Russian teachers will also teach at this school. This is the first Russian school in the last hundred years opened in the Holy Land. Until 1914, about a hundred of these schools were opened and working in Palestine, notes the newspaper Izvestia. According to Sergei Stepashin, this is a school for Arab children (boys) living in Bethlehem. It was financed by Russia and stands up to all international standards and is designed for 450 seats, and 1,200 children have applied to study there. Studies will be conducted on a 12-grade education system. “Russian teachers will teach at the school, many of them are women who at one time married Palestinians and left to live in the home of Jesus Christ. They will teach students the Russian language, Russian history, and the basics of the Orthodox religion, despite the fact that Palestine is a Muslim state”, related Sergey Stepashin. Head of the Society noted that the children will greeted with a letter from Russian President Vladimir Putin and Prime Minister Dmitry Medvedev. As a gift, the Russian delegation will bring students a few hundred books.